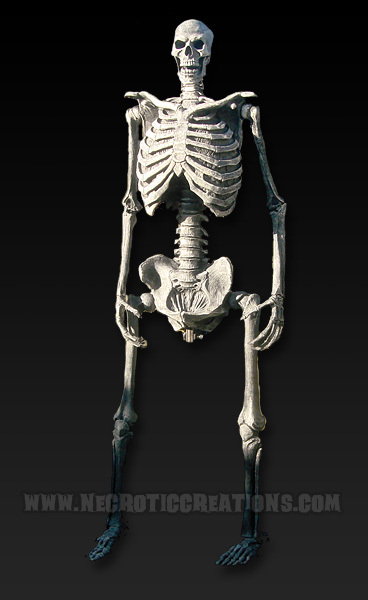 Necrotic Creations oversized 6’ tall urethane-foam skeleton complete with internal armature for posing and stability. Comes in standard Bone finish. Also available in Bloody, Gore, and Rotted finishes.